The Sundance Institute – the Holy Grail of indie cinema – holds its career-launching Screenwriters Lab for 5 days every January. 12 winners are guided through rigorous rewriting by “Creative Advisors.” Sundance provides long-term commitment through its ongoing mentorship program, affiliated grants, and Directing lab. Only 1st and 2nd time feature filmmakers can apply. Nicholl (“nickel”) is a big fish in terms of prestige and prizes: each year up to 5 fellowships of $35,000 each are awarded. This is more than a contest; winners commit to completing at least 1 new screenplay in the following year. Open only to those who’ve earned less than $25,000 screenwriting. Final Deadline: May 1st, 2016. Fee: $40-$75 depending on when you enter. BlueCat accepts unproduced short and feature-length screenplays. For features, top prizewinners get $15,000 and 4 runners-up get $2500 each. There are separate prizes for best scripts from the U.K, a non-US/Canadian/UK writer, and India. Every screenplay submitted receives written feedback. Screencraft.org offers separate contests based on genre: Short, Comedy, Horror, Sci-Fi, Action/Thriller, Family, TV Pilot, and Residency and Fellowship programs. 1st prize is $2000 and phone calls with handpicked industry execs and agents. 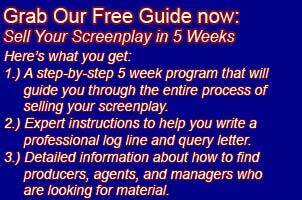 Screencraft is committed to helping winners network in Hollywood and market their scripts. Scriptapalooza winners get cash prizes – $10,000 for 1st place – and numerous other awards, including networking resources, a Robert McKee seminar, and industry phone calls. Scriptapalooza commits to “promoting, pitching, and pushing” semifinalists and finalists for a year. Deadlines run from January 6 (early) and April 29 (final). Fee: $45-$65. Sponsored by the Austin Film Festival, this contest offers a range of prizes: $5000 each for Drama and Comedy winners, $2500 each for Horror and Sci-Fi, and a slew of awards for teleplays of all lengths and genres. Winners also get round-trip airfare and hotel allotments for attending the Festival. Deadline: May 20. Fee: $40. Held by Hollywood producers, agents, and development execs, PAGE awards prizes in 7 feature genres, as well as shorts and TV pilots. Grand Prize is $25,000 and a host of promotional services and gifts, and there are additional smaller cash prizes. This contest is not limited to amateur screenwriters. Deadline: January 15 (early), May 15 (final). Fee: $39-$79. With robust industry connections, Script Pipeline aims to market winning scripts. Top prize is $20,000 plus $250 toward airfare to L.A., and industry consultations. The top prizewinner, runner-up, and 18 finalists get seats at the “Secret Door Pitchfest,” held in August. Open only to those who’ve earned less than $25,000 screenwriting. Contest opens September 1st, 2015. See site for fees. Launch Pad wants to give writers careers in Hollywood. Grand prizewinners get a trip to L.A. packed with industry meetings, and submission of their scripts to thousands of industry insiders. Launch Pad is committed to getting writers repped and getting scripts optioned.